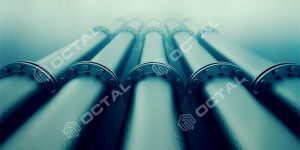 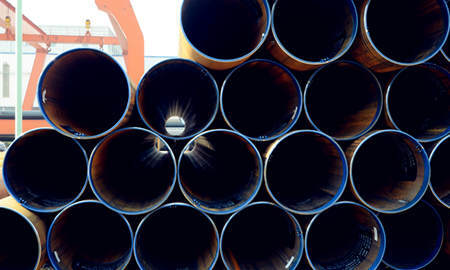 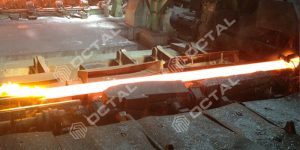 Octal offers API 5L X42/L290 steel pipe in welded ERW and HFW, LSAW and seamless. 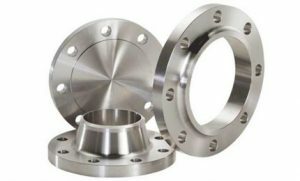 Product Specification in PSL1 and PSL2, sizes from general 4”, 6”, 8”, 10”, 12”, 16”, 20” and up to 40 inch. 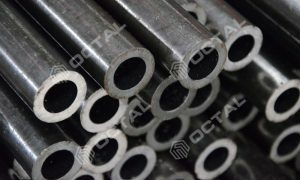 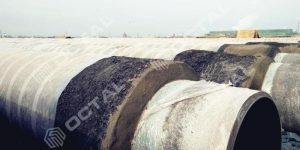 For X42 PSL1 type, the delivery conditions includes as rolled (R), normalizing rolled, thermomechanical rolled and formed, normalizing formed, normalized, and tempered or quenched and tempered. 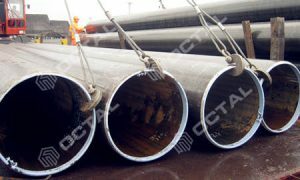 In case API 5L X42 PSL2, delivery condition is M (thermomechanical rolled or formed), N (Normalizing), Q (Quenched). 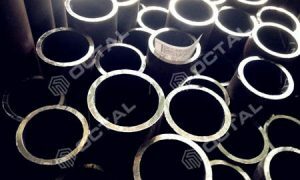 So when we check API 5L specification of pipe grade in X42 or L290, always comes with a suffix letter, R, M, N or Q. 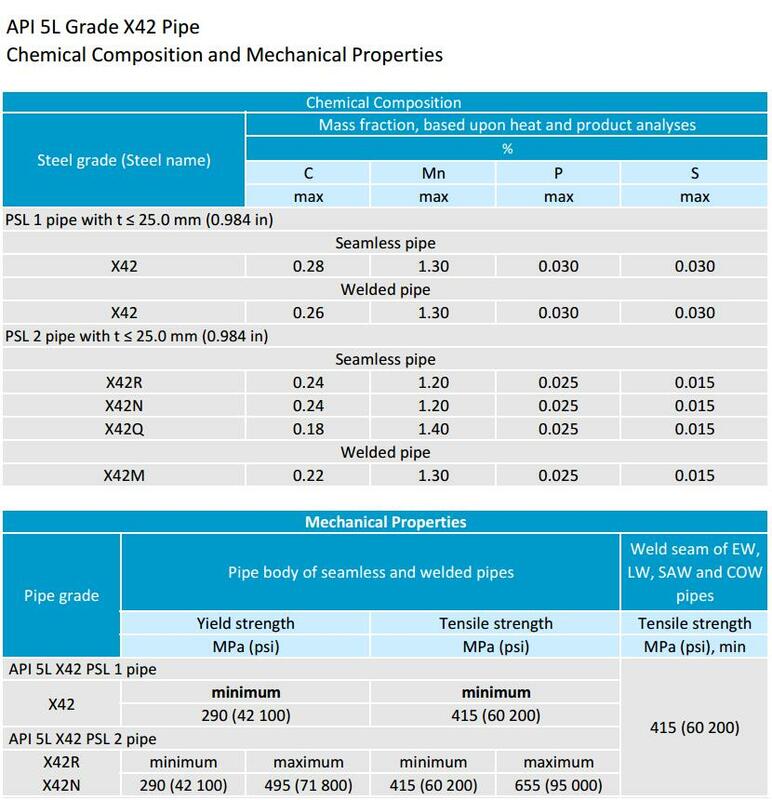 Now let’s check the API 5L X42 chemical chemical composition and mechanical strength. 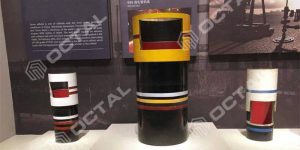 API 5L X42 Min Yield Strength is 42100 Psi, 290 Mpa (As we called L290), Tensile Strength is the same with API 5L B 60200 Psi, 415 Mpa , Min Elongation: 21%. 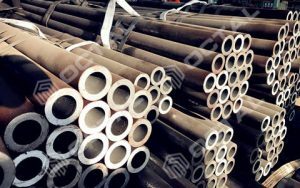 So compared to API 5L B steel line pipe, API 5L X42 steel pipe tensile strength is higher 6600 Psi, 45 Mpa. 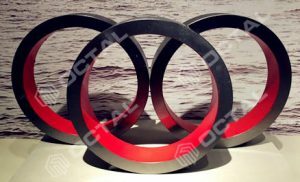 Chemical composition property is C≤0.28%, Mn≤1.3%, P≤0.030%, S≤0.030%, Nb+V ≤ 0.06%, V+Nb+Ti ≤ 0.15%, and the properties of chemical element Mn maximum more 0.1% than Grade B. 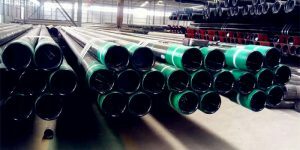 The maximum content of the chemicals for the welded steel line pipe is lower than seamless steel line pipe. 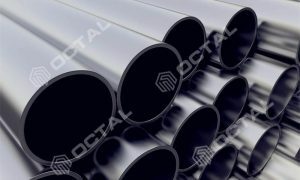 Above specifications for API 5L X42 is under the condition of PLS1, in case of API 5L X 42 PSL2, the chemical properties and tensile strength is more strictly than PSL1. 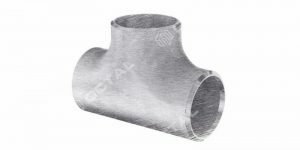 End Protection Pipes Ends Shall Be Protected By Use of Suitable End Protectors.